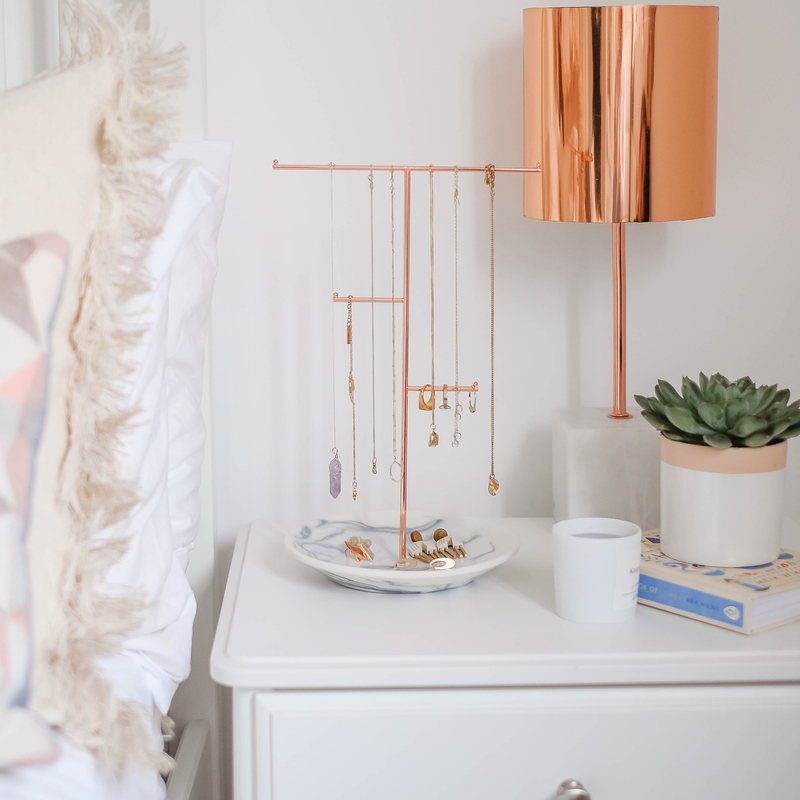 We are pros at organising your jewellery, makeup, home and handbags, now we’re moving onto weddings (well your wedding gifting)! 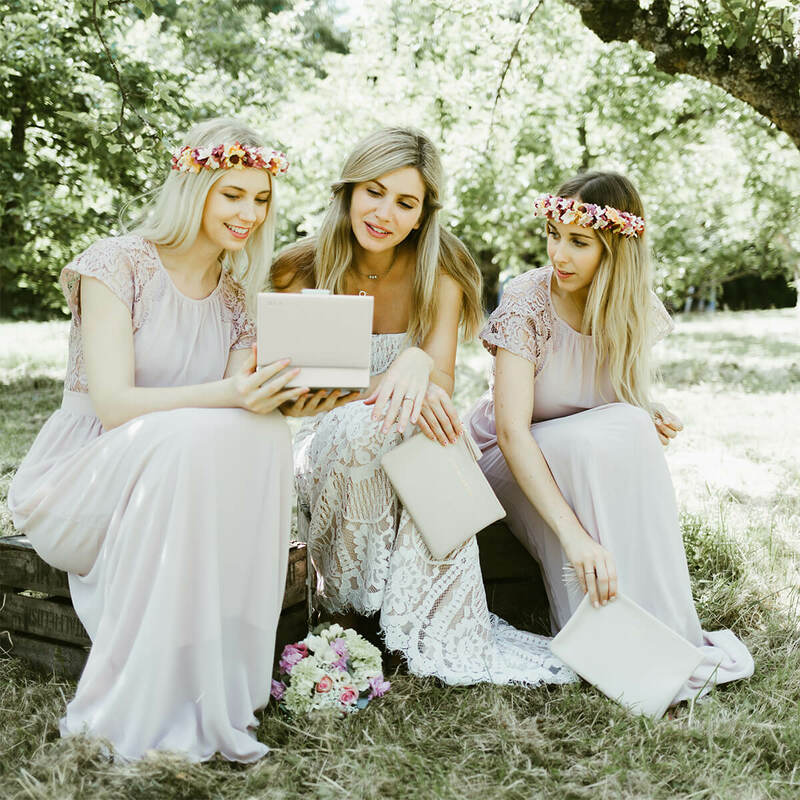 We wanted to bring you an easy and personal alternative to saying an extra thankyou to your bridesmaids for being there for you on such an important day. 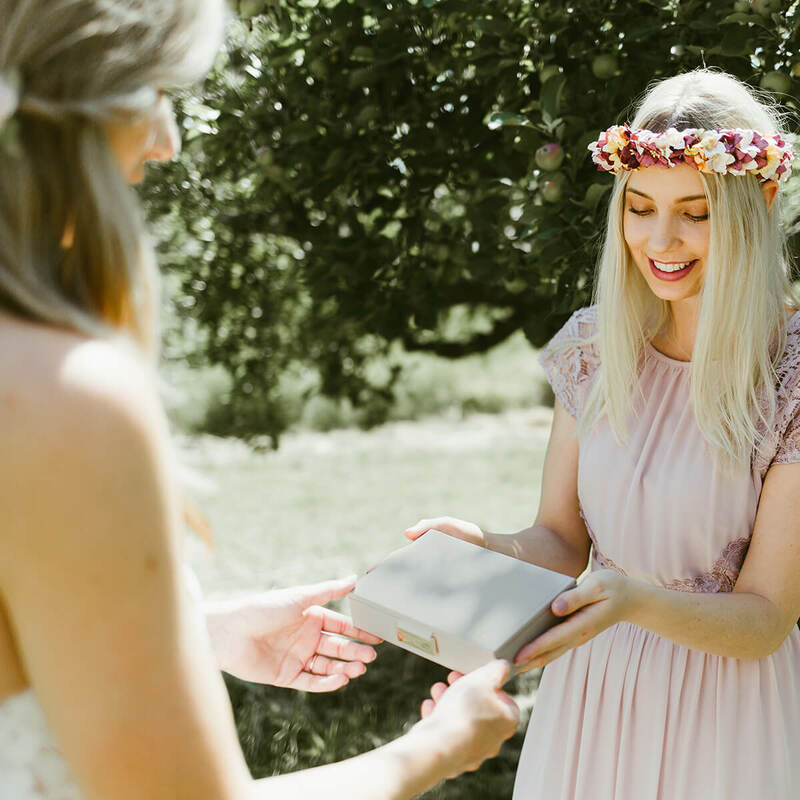 We know a lot of you supply jewellery for the bridal party to wear on the day so out mini jewellery box lids are a unique and special way to present this. 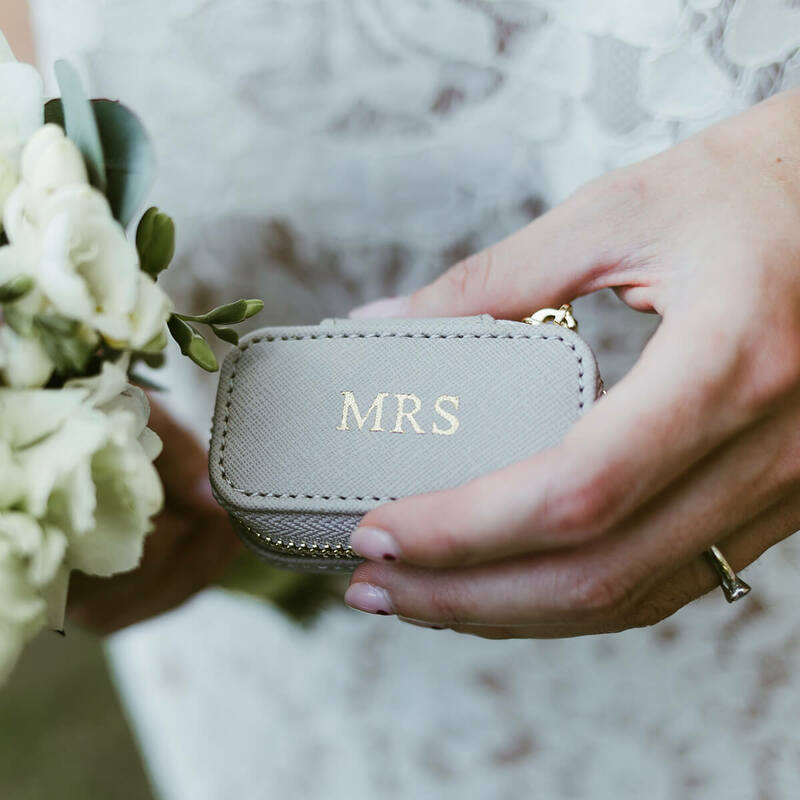 With the option off adding up to three initials to the box it adds a personal touch to a gift they can keep and add too when their own personal jewellery collection grows. 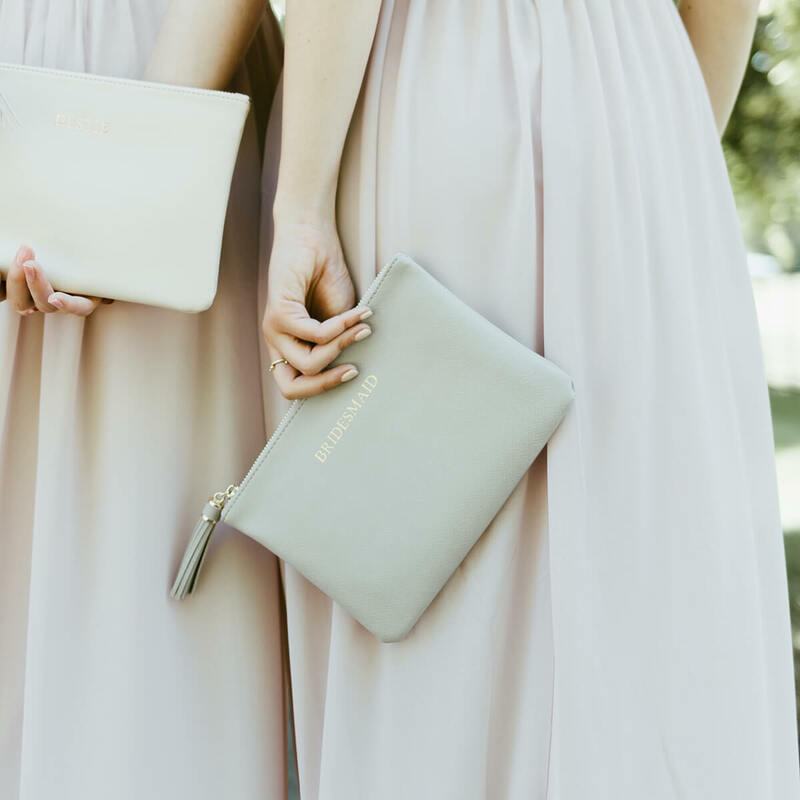 If you wanted your bridal party to match on the day our pouches are a perfect addition, in taupe or blush they are neutral and will match most bridesmaid outfits perfectly. 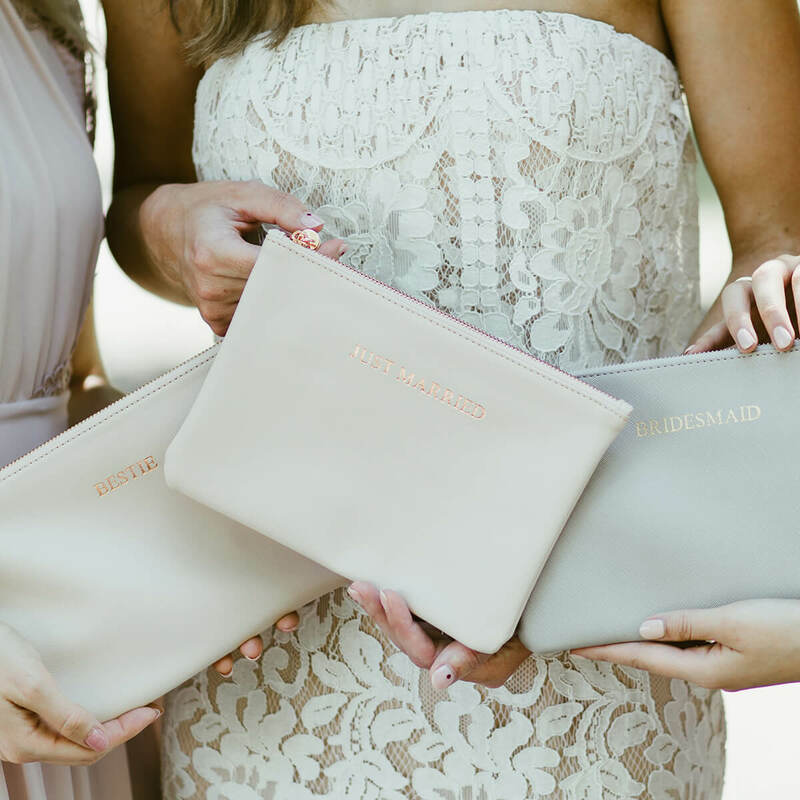 It is a great way to keep your bridesmaids organised on the day housing the tissues for the inevitable sobbing, the mascaras for topping up after said sobbing, plus other wedding day essentials. 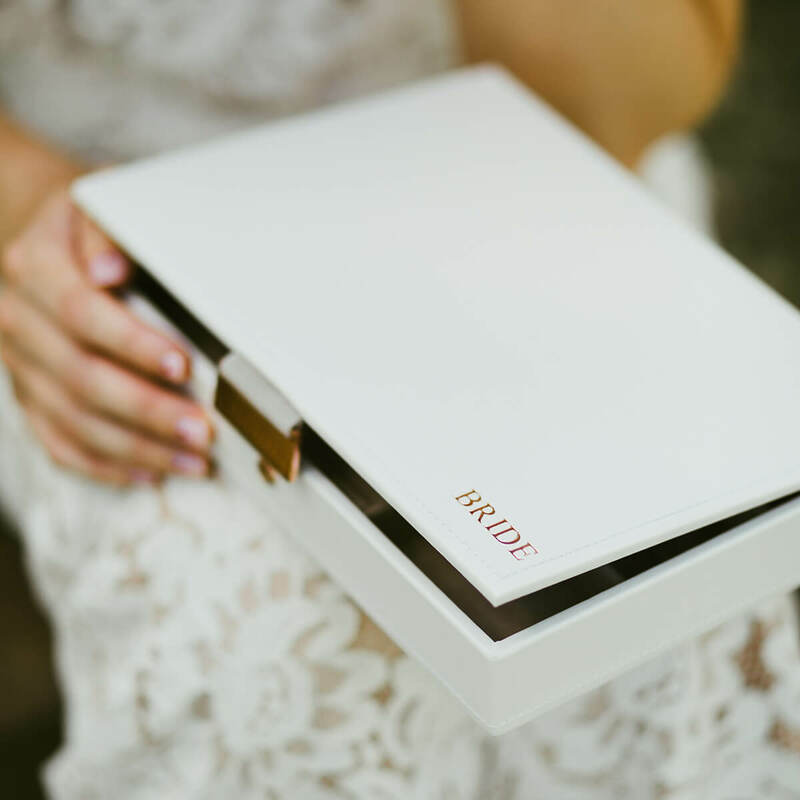 If you’re a bridesmaid or a groom looking to an extra treat for the bride, or a bride who wants to treat herself our classic white jewellery box with ‘bride’ foiled is the perfect spot to keep all the wedding jewellery organised. 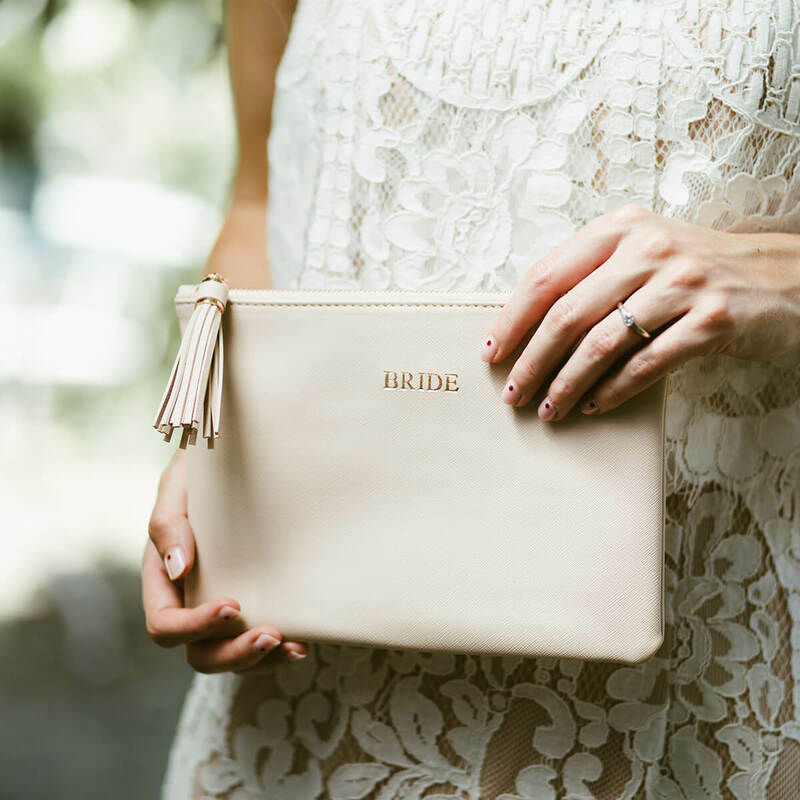 A beautiful keep sake after the jewellery box will be a constant reminder of your beautiful day. 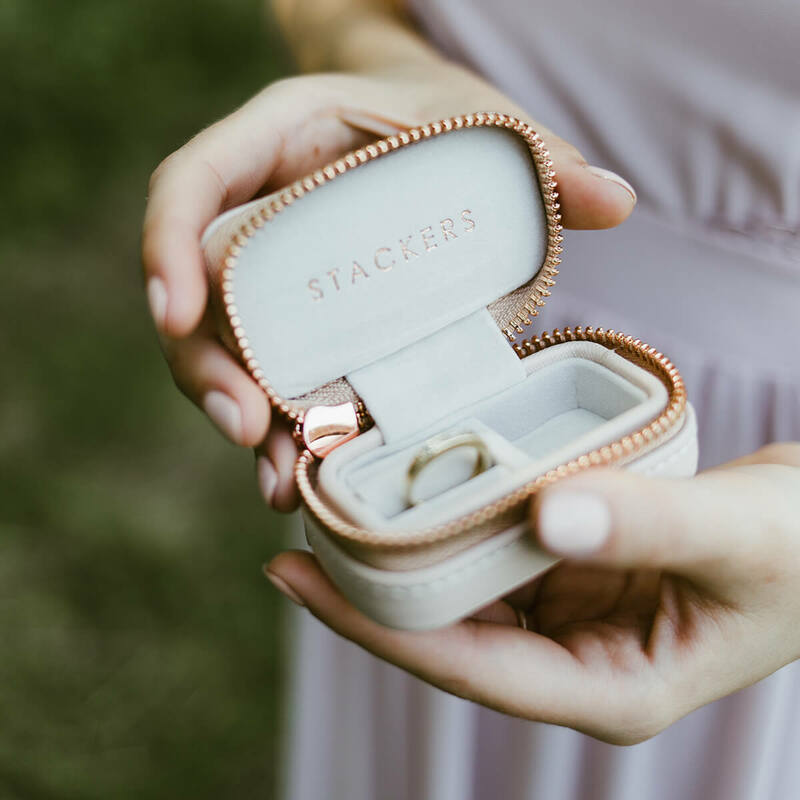 Worried about keeping your wedding bands or your engagement ring safe during the ceremony our mini travel box is a great size to house your rings and keep them neatly together. 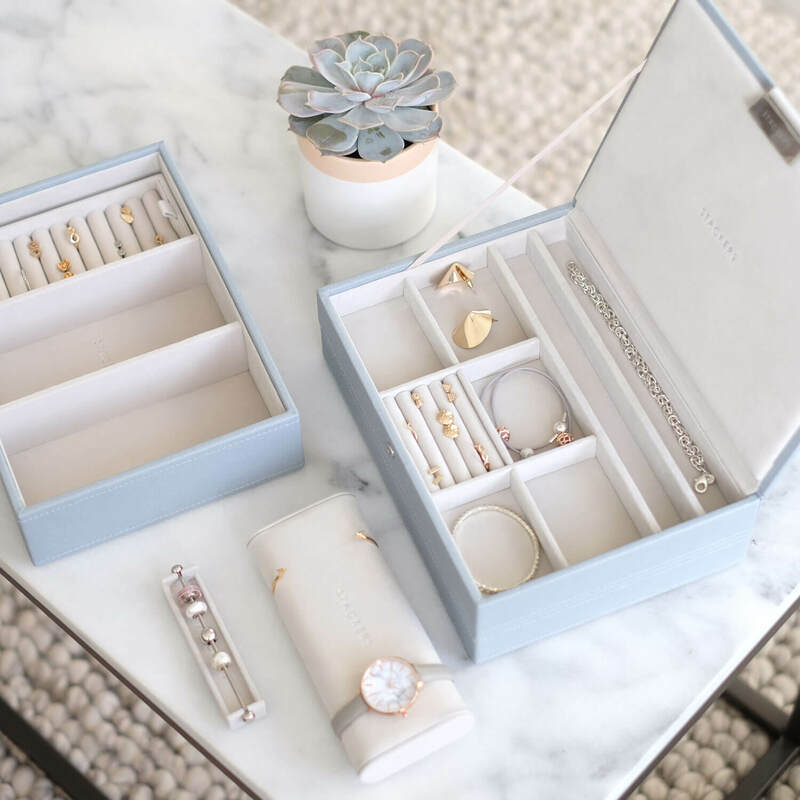 A beautiful alternative to a ring box it’s super useful after and could add a touch of style to your day. 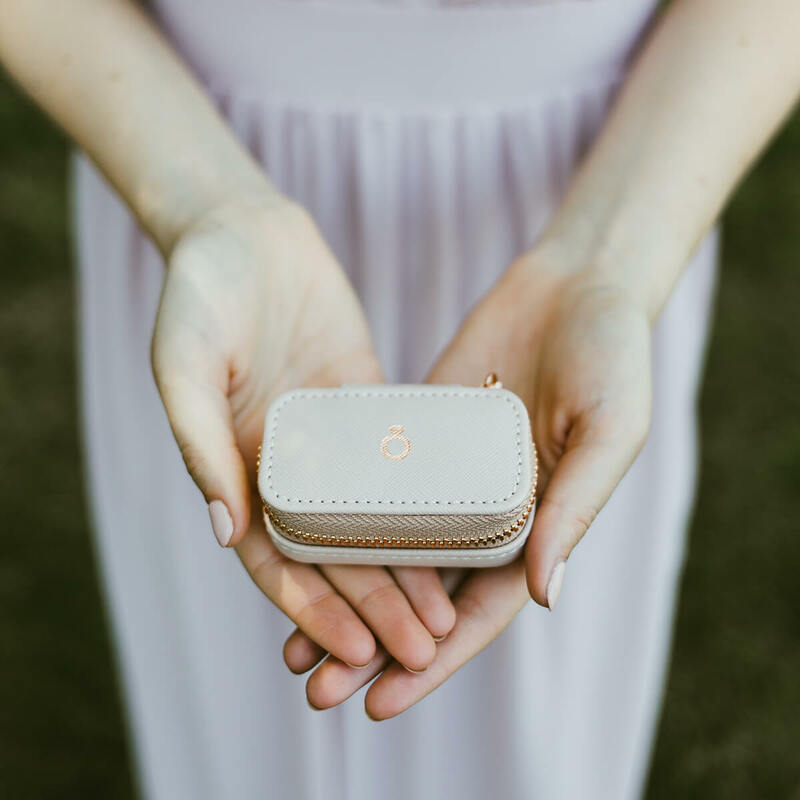 For hen parties and honeymoons we also have a collection of pouches and travel jewellery boxes that will add an extra special something to your trip! 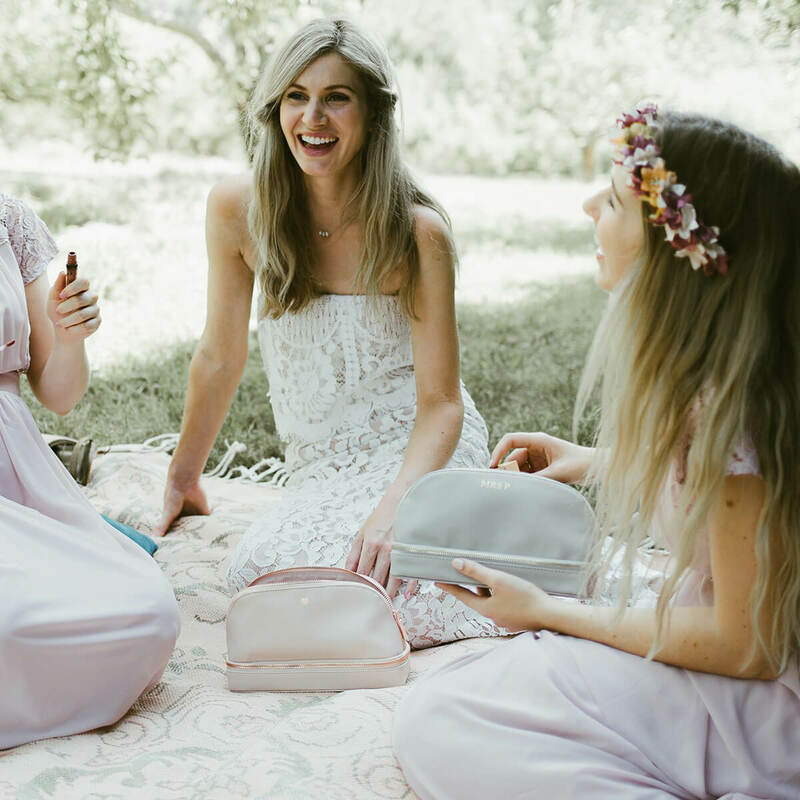 We especially love the idea of gifting makeup bags on the hen party so when you’re getting ready together on the morning of the wedding you’ll all have matching makeup bags, pouches and even jewellery boxes an Instagram dream! Most importantly we want your day to be as special as possible and we are willing to help with that. 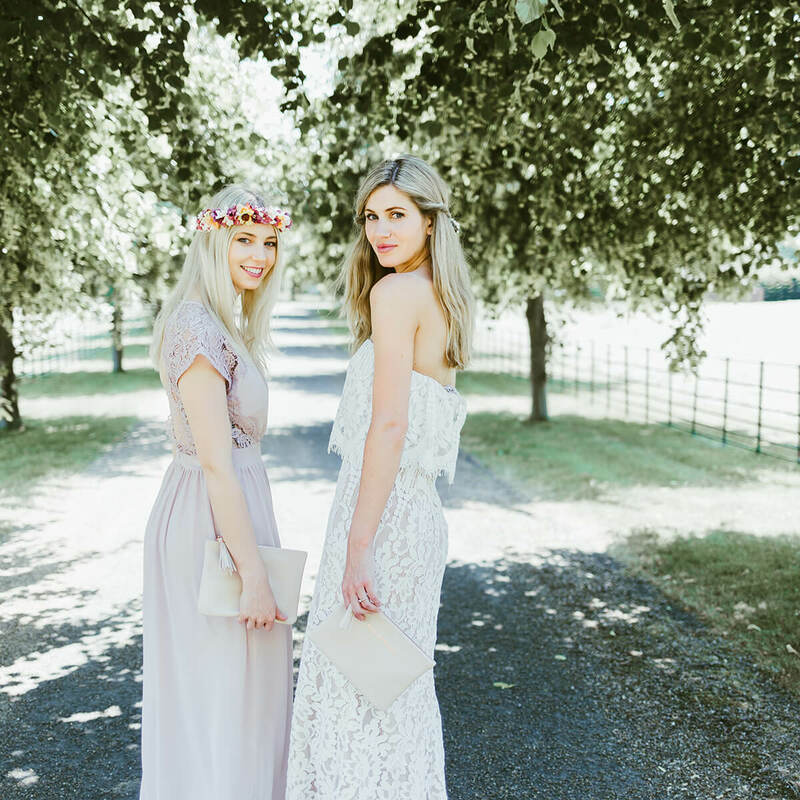 If you have and specific requirements or your buying for a particularly large bridal party then please get in touch and we can see if we can offer a bespoke service for you.